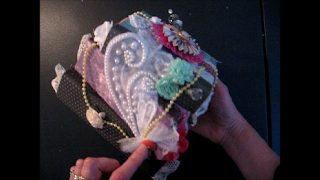 In this two-part video tutorial, I show you how to make an altered book stack. You can either use boxes that you cut to the size you want (pasta boxes, small cereal boxes, etc. ), or you can make your own boxes out of cardstock and chipboard.